The stylish sunglasses have been constructed with exceptional materials, for the highest standard of comfort and performance. 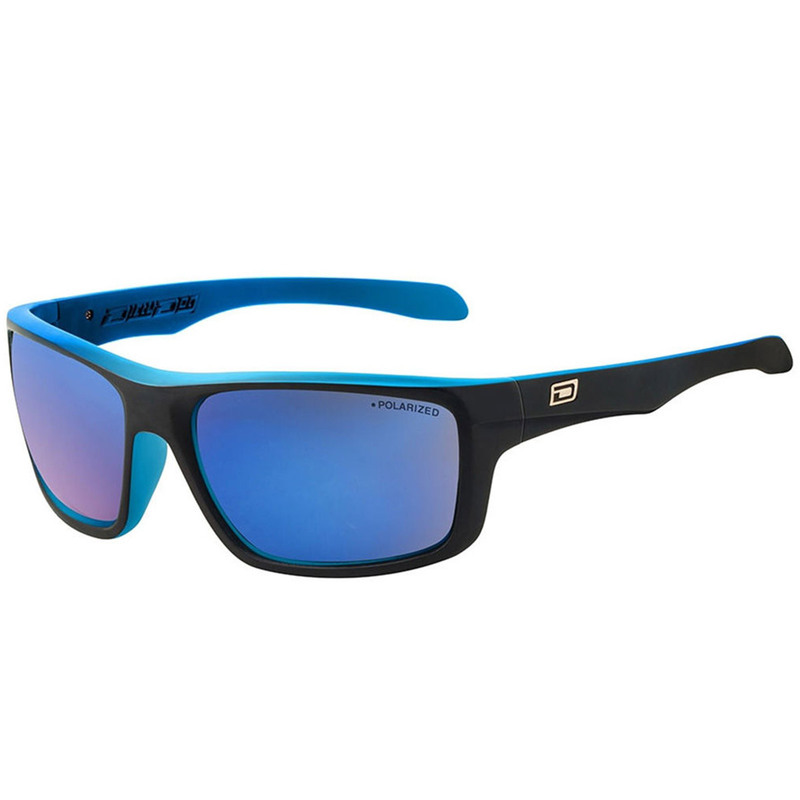 These sunglasses benefit from a blue fusion mirror lens, that is idea for use in medium to light conditions, enhancing contrast and reducing glare. Polarised poly-filter lens have been scientifically formulated to provide the ultimate protection from the sun. The lenses absorb radiation that can be damaging to the human eye and provide clear and restful vision. The lens also lock reflected horizontal glare making them the perfect choice for any high glare situations which may occur on the golf course. 4 UV filters provide optimum UV blockage and have a hard coating to prevent the lens from scratching. The frames on these sunglasses have a moulded from Grilamide TR90 material, a thermoplastic polyamide, which is a lightweight, extremely flexible and super strong. The frame has a 100% memory to allow the frames to bounce back to their original shape, for long lasting good looks. Dirty Dog eyewear is put through the harshest of testing conditions, TR90 will keep its properties in extreme temperatures, including low and high temperatures, as well as extremely humid or dry conditions. No matter the conditions you play golf in, these superb sunglasses will perform.